Learn how to use Mission Insite as a tool to gather important demographic information about the community in which your church resides. Rev. 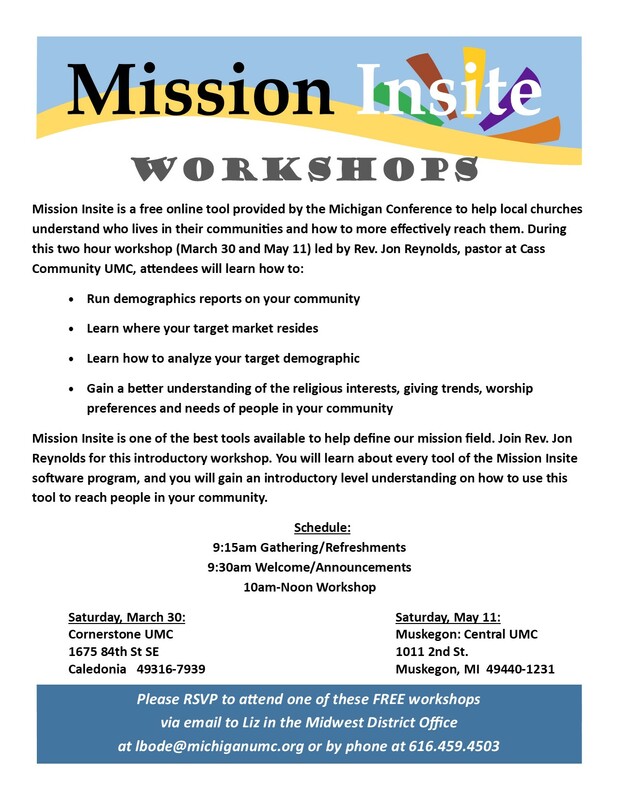 Jon Reynolds from Cass UMC will present a Mission Insite workshop on Saturday, March 30 at Cornerstone UMC and Saturday, May 11 at Muskegon Central UMC. Please share this information with your congregation and make plans to attend one of these important workshops! Mission Insite registration/login instructions are HERE.